Widely used for cutting labels, crafts, printed fabric, trademarks etc. Yag Laser Welding Machine MT-W-YAG Series is a newly welding machine system. 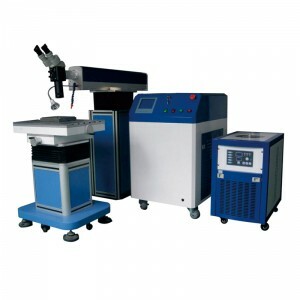 This one is the yag laser welding machine specially for advertising words. The machine could handle very small parts’ tiny welding by laser high heat energy. The powerful energy of laser lead to material’s inner section by heat conduction material, and melt the joint part of material to form the certain molten bath to realize the laser welding. 80W 100W 130W 150W Power is optional.